Howard Takes His Company Public Before Nap Time | Words. On the Internet. “What meeting took precedence over this?” Howard said, grabbing the wad of napkins and tossing them into the lap of Charles, his teddy bear. As his trusted VP of Operations, Howard knew he could count on Charles to sort, review, and file the papers. He simply didn’t have the time to do it himself, “Take Your Kid To Work Day” was always his busiest work day, in that it was the only day he actually did any work. 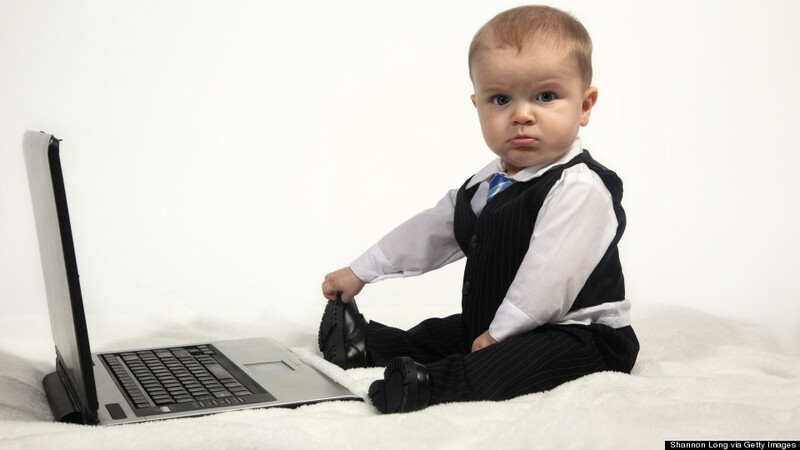 Normally, that work amounted to nothing, with the adults simply coddling him and remarking about “how cute he was in his little suit jacket.” This year, however, he was pretty confident Mommy would actually listen to his business suggestions, all of which revolved heavily around the stock market. Charles would understand the sudden workload Howard had to dump on him. “I had my 1:00 pm breastfeeding,” Johnson said, taking a step back. His diaper appeared to be on backwards, the image of Winnie the Pooh only partially visible on its side. Howard wore the same kind of diaper and knew Winnie always faced front. What a buffoon. “Go ahead,” Johnson said, removing his diaper and attempting to put it back on the correct way. He fumbled with the latches before giving up and throwing it aside, leaving his naked body exposed from the waist down. “There’s going to be change at this company, big things happening. We’re fast approaching our IPO and I want to make sure we’re prepared,” Howard said, glancing up at the ceiling. He’d not slept well the night before, his mind racked with worry about what might happen with their stock. Taking the company public opened them to such a higher level of transparency and civic reliance; he’d soon have more than just investors breathing down his neck: the dreaded stockholder. Plus, there was the colorful mobile that hung overhead, slowly spinning throughout the night. It had fire engines on it and a police car, and there was also an ambulance. How did the adults get those things to hang in the air like that? Black magic? He wasn’t sure and it made him uncomfortable. “What kind of change?” Johnson said, falling backward onto the floor clearly without intention. He seemed to begin actively trying not to cry. “I like it,” Johnson said, nodding slowly. “Great,” Howard said. “That’s good to hear. Let me get my secretary so we can get this IPO moving.” He turned toward the baby monitor on the edge of his crib and meandered over to it, his feet pointed inward as he waddled. Stopping just in front of the small radio, Howard squatted down and pulled it right up to his mouth, then screamed directly into it as loud as he could. He always prided himself on deafening volume of his screams, although it seemed his parents didn’t consider it to be the kind of leadership quality he should be so proud of. They usually did what they could to quiet him down; they weren’t exactly the enablers he knew he needed to run a successful company. He was currently considering laying them off. Almost immediately, the door behind Johnson opened up, Howard’s mother wandering into the room. She was dressed in a long, navy skirt, a white button down shirt on top. A clearance badge hung from her shirt pocket, the same one that had granted him and Johnson access to the office. “What’s wrong, sweetheart,” his mother said, wandering over and picking him up. “I am,” Howard said, giggling uncontrollably. He hoped Johnson would not think any less of him having seen this. Howard watched as she turned and left the room, making a mental note to begin interviewing candidates for her replacement by early next week.